What if you had no food around you? No restaurants, no ingredients, no fruits, no veggies, no meat. Even worse, you have these in front of you, but can’t afford it. There are 795 million people who experience it, globally. 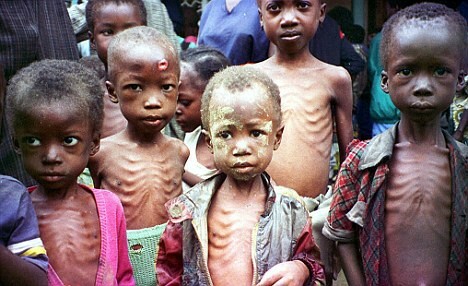 There are more people dying of hunger than AIDS or other lifestyle diseases. I tried exploring about why and how is hunger killing us. I personally know some of the most brilliant minds making agriculture and food manufacturing more efficient. But, the more I meet and read, the more I realize it’s a vicious circle, in which you can not beat hunger, you can just marginally tame it (at best, no offence), unless you disrupt food itself. Here is why: It’s a complicated pyramid. Manufacturing of food, distribution of food (minimizing wastage) and ability to afford it (inflation). If any of these 3 problems are not solved, hunger can never be eradicated. I am not sure if I am intellectually or financially capable to solve the inflation or poverty problem. But, I think I can solve the other 2. There has to be a more efficient way to increase shelflife of food and make it accessible. Only time will tell if we succeed. But, I will try.